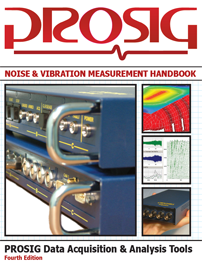 We’ve come across a number of great noise related resources lately. So, rather than keep them all to ourselves, we have decided to share them with our readers. Thanks should go to @NoiseHelp on Twitter for providing a couple of the links. A detailed look at noise and hearing from the American Speech-Language-Hearing Association. We’ve all heard of white noise and probably pink noise. Prosig’s DATS software supports generation of white, pink & red noise as standard. But what about violet noise? Orange noise? Wikipedia has a full rundown of the colours of noise, both ‘official’ and not so official, and includes audio samples of the ‘officially’ defined ones. A collection of charts and infographics relating different dB levels to real world examples. Not strictly a “top” ten, but a good list comparing some of the loudest sounds ever produced. I had always thought that whales were quiet creatures. Who’d have thought they could make such a loud noise. Everyone likes music of one kind or another. It is one of the most emotive art forms. But what is it that causes music to effect our emotions? Here are some links to pages that explain some of the science behind music. An extremely comprehensive article on noise related hearing loss by the American Hearing Research Foundation. This site is partly dormant now, but it still has many useful and informative sections or reducing the noise from a PC. ← What is Synchronous (Angular) Sampling? Interesting links! Thanks for gathering them. On silent PCs, a thoroughly comprehensive resource is http://www.silentpcreview.com . Thanks, Sarinne. As I mentioned a couple of the links were courtesy of your Twitter feed, which is a great noise related resource. Keep up the great work! Cheers mate. a great help. There’s a lack of noise on the internet – or so I thought! You’ve just proved me wrong!